I had a crazy moment of cultural awareness/flashback/shock at my 40th high school reunion event a couple of weekends ago. Like many people I know, if you are still in touch with even a couple of people from your high school days 10 years afterwards, you are in the majority. Most of us move on from high school acquaintances to make new connections as we navigate the slippery slopes of building a profession, finding work, starting a family, contributing to the community in which we live, and other sundry projects of adulthood. So I had very few expectations for the event and since my husband and I both went to the same high school and graduated from the same class of ’76, we made an agreement that if it was boring or painful we would leave after the first hour. Interestingly for both of us, it was neither. We were pleasantly surprised to see that our class had turned into a rather distinguished group of people who were taking care of themselves and who had acquired some finesse, social grace and interesting things to talk about along their ways. People we thought had never even been aware of our existence in high school greeted us warmly and asked sincere questions. We found that many had shifted careers, developed hobbies, traveled, were participating in interesting community projects or groups and had children, grandchildren and life milestones. And, sadly, many had illnesses, they had experienced close family and friends’ deaths, accidents, and some were watching aging parents losing both health and mental clarity. All this is, I suppose, to be expected at a reunion. However, as the ghosts from my past materialized in new ways in front of my eyes, I had an increasingly uncomfortable personal realization. I asked myself, how had I who prides myself in having developed a certain degree of cultural awareness, missed seeing so much? How had someone who has cultivated the capacity to walk between cultural worlds missed so many obvious cultural indicators? How had I walked with oblivion through those groups of people and not seen them? Many of my classmates have French surnames and, in fact, are related to each other. I didn’t even notice that at the time. But when five cousins posed behind an open cardboard photo frame and smiled with the same hair, dimples, eyes and faces it suddenly hit me! Almost 50% of my high school classmates were French Canadian! I had been living in a French community and didn’t know it because I only learned French later on as an adult when I married my French Canadian husband. Before that, their French Canadian-ness was completely invisible to me. 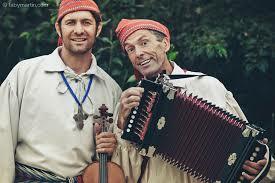 Maybe because they didn’t wear toques and play accordian, like the picture below? Was that they only way I would have noticed it? Another group of my classmates were from German and Dutch heritage, often with parents who immigrated from Germany. I had missed that too – and my father is a German immigrant himself! Go figure. Then there was the group of Métis classmates: one was my next-door neighbor, one was one of my husband’s high school buddies…I didn’t know they were Métis. The fact that one family had lived in a ditch by the road because they were not allowed to own land did not occur to me as strange at the time. I was struck by how little I knew about my classmates, many of whom I had spent four years of my life with. 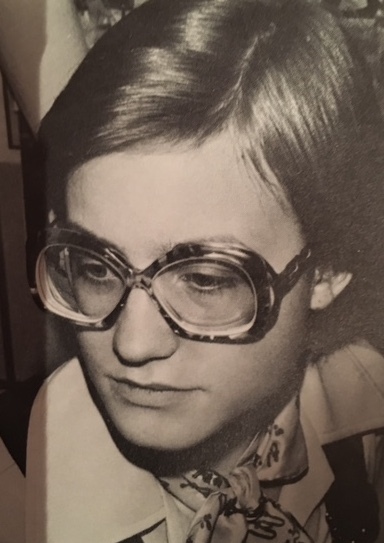 I was embarrassed by how, as a shy teen, I was so absorbed in what others might have been thinking about me at the time to have missed entirely what they could have been experiencing or who they really were. Even though my family had no relatives near us and our close friends were all people from different cultures, even though my father’s best friends were a Japanese food store owner and two Jamaican nurses, even though culture was all around me and omnipresent in its many shapes and forms including social class, gender, age and religion, it completely escaped me at the time. Want to learn more about how culture affects your workplace? Click below to save your spot in our FREE eLearning module on that very topic. Then I had a second realization: during this part of my life I didn’t even know my own background and culture. My father for example, never explained anything about the trauma of living through the war and having three of his brothers killed within six months. He only told us about being part of the underground railway to help French, Jewish and Polish refugees escape Germany when my second son was in high school. We didn’t know that his region spoke a particular dialect and that they had an architectural style, and a storytelling style. And we never knew how much people suffered during those dark days and why he set out alone to leave his homeland forever. I only found those things out when my father was past 70, when he began talking about them. My mother never spoke about her Polish/Russian/Romanian family or about her father’s alcoholism and how it affected their moves from one farm community to another in an attempt to start fresh. Or about the dialects they spoke and the cultural links they had. I only learned those details from a distant cousin many years after my mother had passed away. During my high school years, my heritage was something old and unfamiliar – about as relevant to me as the outfits in the image below. As I was musing about my own lack of awareness, I happened to notice the table with all the high school yearbooks on it. Paging through several years of them and laughing together at everyone’s hair, clothes and dated glasses I had a third realization: I was nowhere to be found in those year books. There was only one photo of me and it was the individual photo the photographer had taken of me and every other person attending that high school. I had performed in five plays and won an award for my acting in a drama festival. No record. 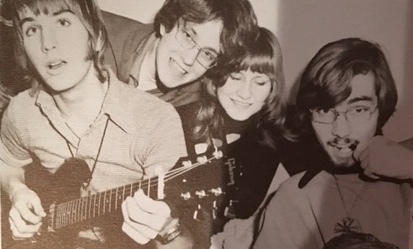 My husband played in a school rock band and choir of 100 high school students over four years with over 30 performances around the province. No record. All the memories I had of high school retreats, science experiments and art exhibits, French club and high school dances, and the consistent awards I won for my artistic achievements, missing. Invisible. So I decided it was a zero sum game in the end. I did not see my classmates for who they were either culturally or personally, and they did not see me. We didn’t know ourselves; we couldn’t see each other. It made me think that most of our lives are spent going through the motions of what we think needs to be done and taking care of business. In the process the people we meet float by and we miss each other, ships passing in the sea. It is tragic to go through life in this kind of cultural and personal fog. Right then I made a vow to invest in relationships not just with the new people I meet in my work and life, but with those from the past too: to really look for who people are. To see the diversity behind the mask and the commonalities behind the differences: ask questions, find the gems, appreciate the differences, share in our common humanity. After all, isn’t that what we will carry with us, treasure and value as we move towards the end of our lives? Let’s keep people in the picture, no matter what we are doing and who we are with. 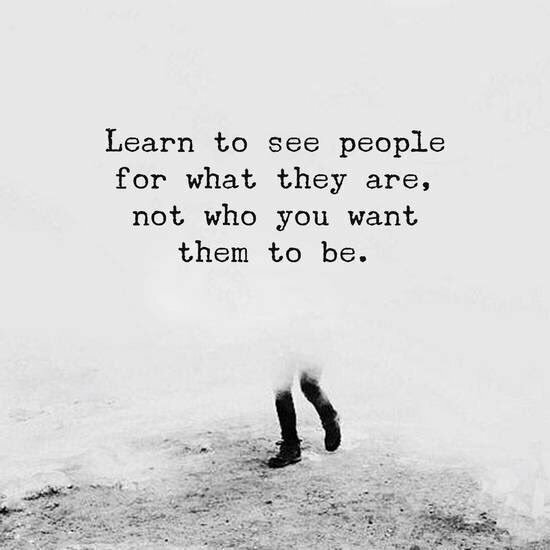 Let’s learn to see. Want to learn more about how culture affects your workplace? Check out our posts on speech patterns and hierarchy to start seeing culture in new ways. Ready for MORE?! Click here to try out our FREE eLEARNING MODULE on work and culture.